C.C. 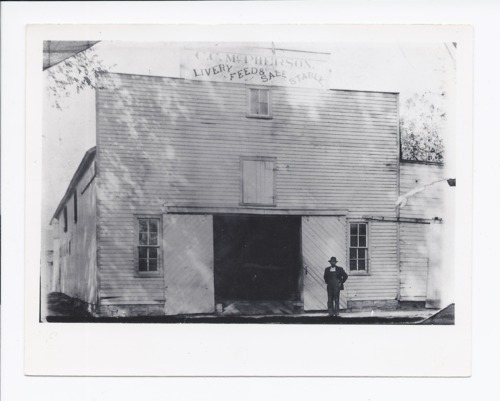 McPherson opened the McPherson Livery barn in October 1879. In 1883, he kept three buggies, two spring wagons and nine head of horses. He expanded his business to house more in the early 1900s and had a "carry-all" which was particularly popular with the young people who often rented it for their outings. Ed Stovall, pictured, was an employee. This photograph is provided through a pilot project to host unique cultural heritage materials from local libraries on Kansas Memory and was accomplished by mutual agreement between the Northeast Kansas Library System, the Rossville Community Library, and the Kansas Historical Society.